As a designer of Oil Separators from the 1970’s, I am always interested in listening to the comments and requirements of our customers. The latest range of SEPA oil separators combines accurate and multiple plate packs with good flow distribution to provide oil separation performance as near to the theoretical limit as possible. However, further development was required and has been incorporated in these designs. 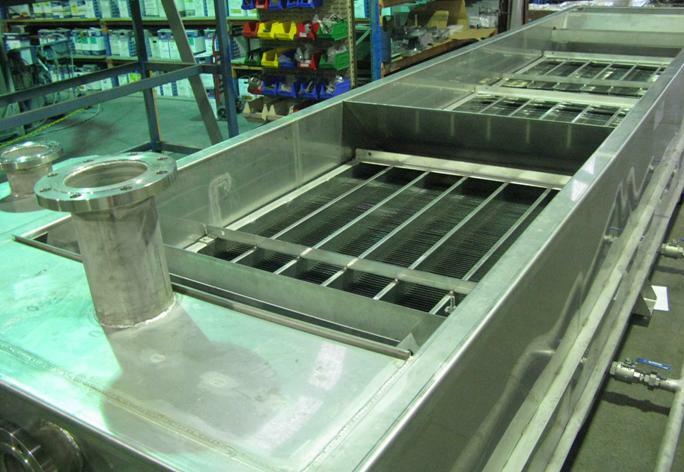 A first step has been to take seriously the need to clean out separator hoppers. We have been asked “Can we improve on large flat bottomed areas below plate packs?” and we are fortunate with multiple plate packs that we can provide Curved Bottom sections (Registered Design) where the sludge can flow easily to the sludge outlet. The next issue has been to provide easily adjustable full width Oil weirs, which do not rely on sliding pipe seals or rotary joints and hand wheels. This has taken a while to understand the nature of the problem and provide a simple and obvious solution. The result is our Universal Weir (Registered Design) used for water weirs in the Small Oil Separators and Oil weirs in the Large Industrial Oil Separators. Nothing in design is perfection but we aim to get as near as possible. 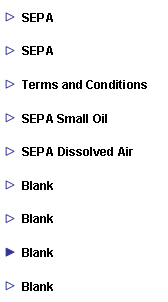 The SEPA Oil Separator is a patented design. 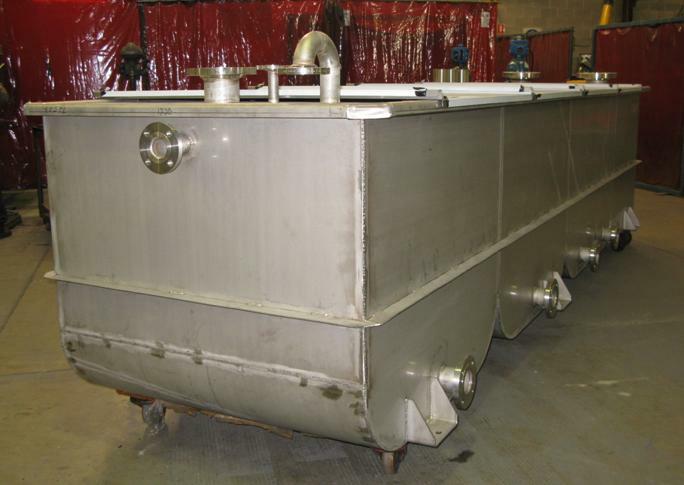 Click link to read about Seismic Design on a SEPA Oil Separator. Click here to go to the SEPA Oil Separator Seismic Design page. SEPA® triple plate pack arrangement showing plate spacing accuracy. Due to the construction method, no internal spacers are used, thus the plate packs are very resistant to clogging.